You’ve generously shared more than 100 ideas on Talkin’ Local Food with UHN over the past few weeks. Thank you! We’ve now entered the voting phase of crowdsourcing. You will be able to vote for ideas, and build on them. You can still share your own ideas until October 2, 2014. In the past weeks, we’ve gone on a road show to introduce the project to staff at Nutrition Services, Allied Health, Human Resources, and many Nursing Units – with a special thanks to our friends at Bickle Centre for helping us reach out to 60 nurses in a couple hours. We’re having sign up parties! Come over to say hello, take a tour of the website and sign-up. Local tasty prizes are in play! 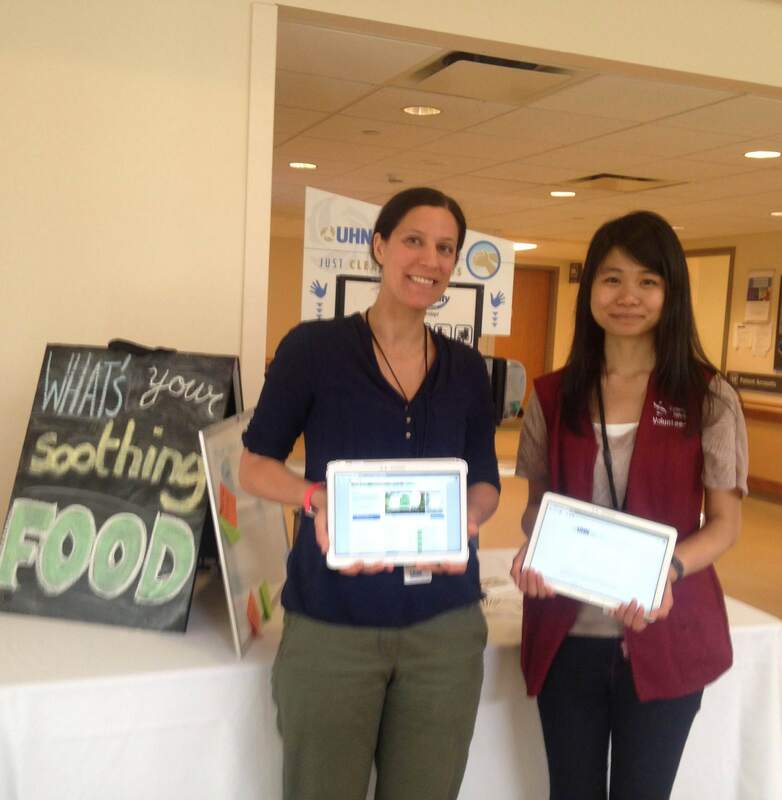 Melissa and I showing off our tablets at Toronto Rehab (UC): sign up with us in just 3 clicks! Want to go deeper?… Host your own 30 min brainstorming session! We’ve made it easier for you to brainstorm ideas with your team. 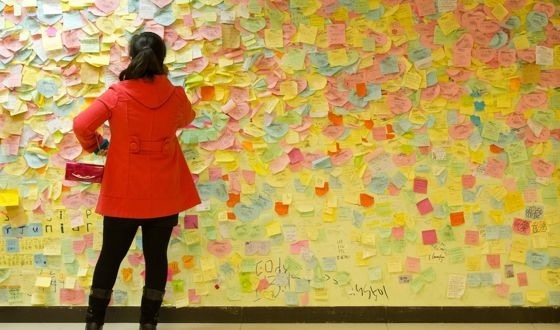 Find 3-4 people interested in brainstorming with you for 30 min and follow our Brainstorming Toolkit. This entry was posted in Beyond Talkin' Trash, Choices for Ontario Food project and tagged Crowdsourcing, local food. Bookmark the permalink.